How much is Rachel Brosnahan Worth? 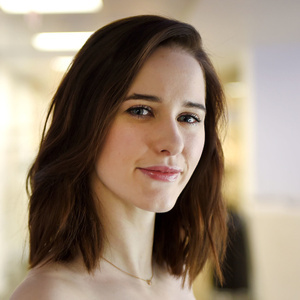 Rachel Brosnahan net worth: Rachel Brosnahan is an American actress who has a net worth of $6 million. Rachel Brosnahan was born in Milwaukee, Wisconsin in July 1990. From 2013 to 2015 she starred as Rachel Posner on the television series House of Cards. From 2014 to 2015 she starred as Abby Isaacs on the TV series Manhattan. Brosnahan began starring as Miriam Maisel on the series The Marvelous Mrs. Maisel in 2017. She has appeared in several films including The Unborn, Beautiful Creatures, James White, The Finest Hours, Patriots Day, and more. Rachel Brosnahan has also appeared in episodes of the TV series Gossip Girl, The Good Wife, CSI: Miami, Grey's Anatomy, Orange Is the New Black, The Blacklist, Black Box, and more. She won Golden Globe Awards for Best Performance by an Actress in a Television Series – Musical or Comedy in 2018 and 2019 for The Marvelous Mrs. Maisel and also won a Primetime Emmy Award in 2018 for the same role. 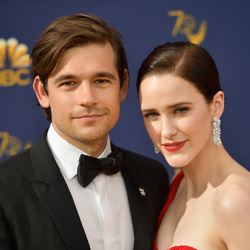 She married Jason Ralph in 2016 and her aunt is Kate Spade.